Our Let’s Get Cooking club is no longer a Big Lottery funded project. 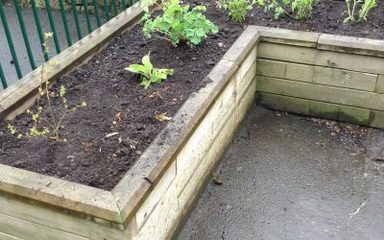 It is now run in conjunction with the Tesco Eat Happy Project. Unbelievably, we are now in our seventh year of running a cooking club at Winlaton West Lane. As the school continues to pay for all expenses related to this club we still ask for a small £1.00 weekly contribution from club members. As well as learning to cook and bake a range of healthy, nutritious foods at our club, we also learn lots of practical skills such as reading a recipe, weighing and measuring ingredients, food preparation and safe kitchen practices. 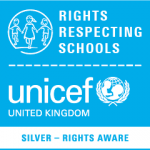 Vegetable soup, spicy chicken fajitas, chicken korma, Spanish tortilla, scones, fruit crumbles, pasta bake, spaghetti Bolognese and sausage and bean hotpot are just some of the foods that our young cooks have made and eaten over the last seven years. We always try to provide recipes so the children can cook at home. Lots more recipes can be found by following the link below. We are pleased to introduce to you West Lane ‘Forest Rangers’. In Forest Rangers we aim to develop an awareness and respect for the natural environment and produce life-long eco-warriors. We will learn to identify and nurture the flora and fauna around us. We will work with full-sized tools, cook on open fire, be creative and manage and maintain our forest school environment. The only weather that will deter us is high winds. Through snow and rain, we will continue to run Forest School each term; appreciating the changes that the different seasons bring. All forest rangers wear appropriate clothing so that we are prepared for changes in weather conditions and ready for fun! Every Wednesday night, Miss McKenry (ably assisted by Mrs Herworth and Mr Crawford!) runs a puzzles and board games club for the children in years 3 and 4. A whole host of familiar games are played, from Connect 4 to Monopoly and draughts to Cluedo. Some games the children like, and some games they don’t – but they’re always willing to give something a try! Some of the children have even brought in games from home to try – Family Fortunes was a definite hit! The children love playing all the different games, as you can see from the quotes below. Our fantastic football team have impressed us once again by becoming the Blaydon and District 5 a side champs! Our team now progress onto the Durham County 5 a side semi final. 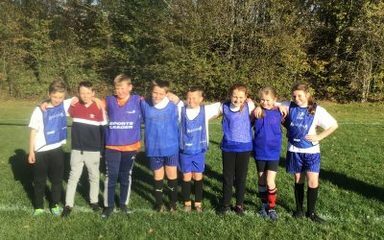 We played in the Y5/6 Tag rugby finals at Blaydon rugby club yesterday, where we came 2nd in the first group! This sent us through to the champions league – where we came 3rd! A massive well done to everyone, especially Lewis M – who was scouted by an England rugby coach! West Lane are winners of the Blaydon & District 7-a-side cup! 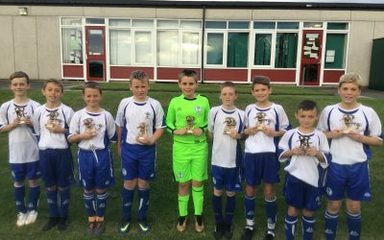 West Lane footballers played an astounding match and are now the winners of the Blaydon & District 7-a-side cup – the first time EVER that the cup has been retained for a second year by a school! We are now through to The Daniel O’Hare Cup, to be played in Sunderland next week! Another Amazing Afternoon in our school Forest! Another day of friendship and teamwork at forest school club! 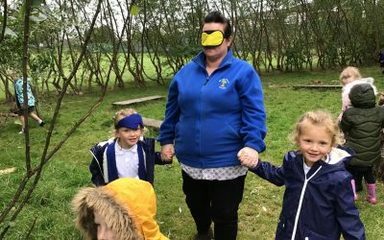 We took turns to guide our blindfolded friends through the forest building – developing trust, communication and teamwork. 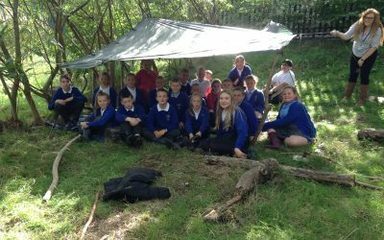 Year 6 build golden time dens! 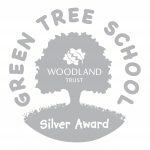 This week, Year 6 Oak spent their Golden Time in forest school with Miss Summers and Miss Greaves. 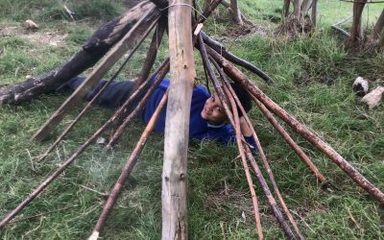 They were given a task to build a den with the resources provided. Year 3 and 4 gardeners brighten up West Lane! ‘Noah’s Art Club’ show off their religious art! 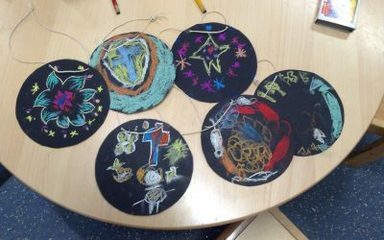 Over the past term, our ‘Noah’s Art’ After-school Club have explored many different religions through the medium of art. West Lane choir ‘Sing Big’ at The Sage! 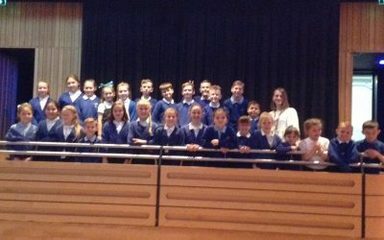 Last Monday, we had brilliant time at The Sage performing at the ‘Big Spring Sing’. Thank you to all of the wonderful West Lane parents who came to support us at the event and a huge thank you to Mrs Kendrick our fabulous music teacher from Gateshead council, who worked alongside Miss Sergison so that we could reach our full potential as a choir. We hope you enjoyed the afternoon as much as we did! West Lane ‘draw’ against English Martyrs! At last night’s football match against The English Martyr’s, our team played extremely well together and we drew 1-1! 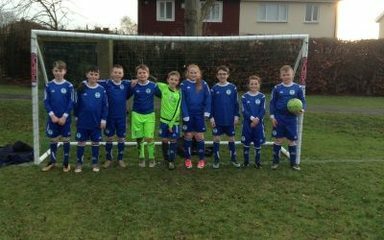 Fantastic team spirit and great sportsmanship was shown by all – well done to Adam, Mckenzie, Tre, Ellie, Holly, Spencer, Sam and Harvey! We all ‘heart’ our after school art! 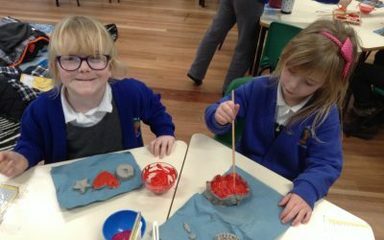 During the past couple of weeks at after school Art club, the children have been making Valentines hearts using clay. They finished painting and decorating them this week – we hope you agree that they all look fantastic!